This painting is one in a series inspired by a place called Schoolhouse Beach. Intrigued by the smooth stones which litter the shore, the clear water, and the hypnotic sound of the waves gently lapping back and forth, I returned to this remote place several times. My mind would fall into a place of stillness each time I found myself there. 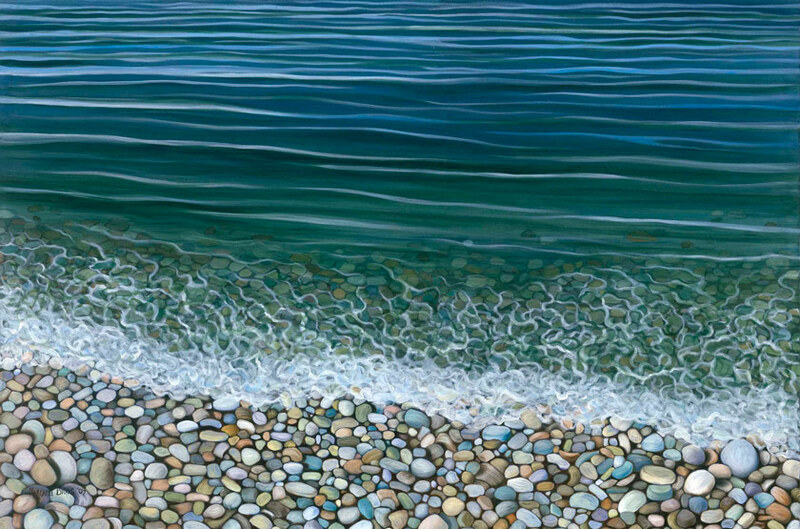 The paintings I have made to commemorate this place are the inspiration for a poem entitled “When once upon a Rocky Shore.” It can be found in my book “Visions” and on my blog.